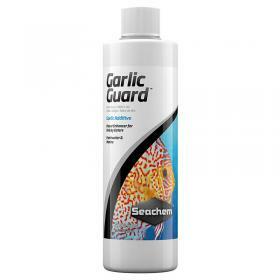 GarlicGuard is an appetite/flavor enhancer for freshwater and saltwater fish. GarlicGuard will help renew the interest of poor or finicky eaters. GarlicGuard contains the naturally derived, active ingredient found in garlic, allicin, which has been demonstrated to possess health promoting benefits. Allicin possesses strong anti-oxidant properties (similar to Vitamin C) which promote enhanced health through elimination of dangerous free radicals. 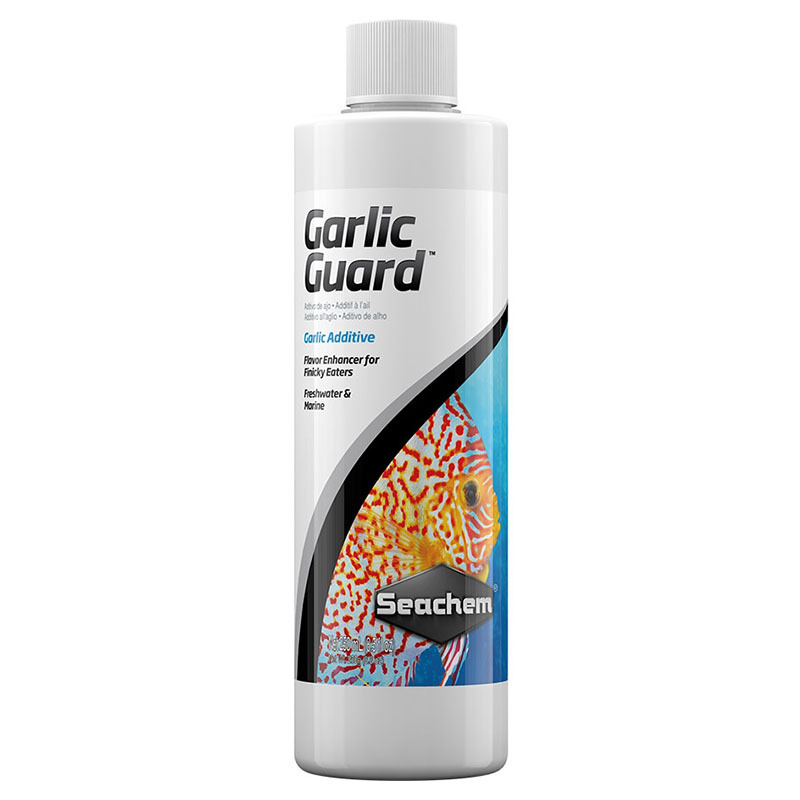 For enhanced health benefits, GarlicGuard also contains Vitamin C. Freshwater and Marine. Reef safe. Shake well before use. Soak food in GarlicGuard before feeding. For enhanced effectiveness against Ich and other parasites use Seachem's Focus and Metronidazole as follows: Add 1 measure of Metronidazole to 1 measure of Focus per tablespoon of frozen food. Completely soak this food mix in GarlicGuard, refrigerate, and feed once or twice daily for 1–2 weeks.